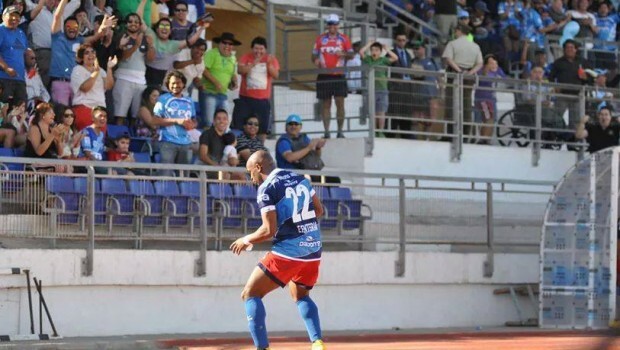 The derby clash between San Marcos de Arica and Iquique had to be called off midway through the second half, with offensive chants coming from the visiting fans. 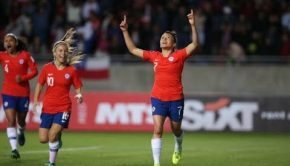 The fierce rivalry between Chile’s two northernmost teams had an extra chapter added to it after the clash was called off due to racist chants coming from Iquique’s fan base. With Arica up 1-0 thanks to a goal from Venezuelan striker Emilio Rentería, the match was called off by the referee on the 70 minutes mark, with the visitors being cautioned over the loudspeakers, but the racist taunts not stopping. The ANFP gave a statement on Saturday expressing severe dissatisfaction with the events that occurred. Considering that the striker was victim of similar taunts when San Marcos visited O’Higgins only two weeks earlier, it is clear that the Chilean authorities have their work cut out in removing racism from the stadiums. With the ANFP tribunal about to give a verdict on the Rancagua incident, the same committee will be back to work on an almost identical incident. 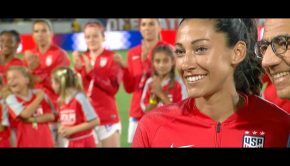 With presidents from all of South America’s governing bodies in town for the draw of the Copa América, it was a shameful incident to bring to the attention of the sporting world. CONMEBOL president Juan Angel Napout said in Viña del Mar, “The sensation one has when something like this occurs is sadness. I am invaded with sadness and impotence in something as marvelous as football.” Napout also suggested that there would be strong sanctions following any similar incidents during the Copa América. ANFP chief Sergio Jadue added his embarrassment, reflecting on the situation in Chile. “The Chilean society has been intolerant for a long time and that is an issue we must resolve as a country. However the situation with this player is something that I deeply regret,” said the former Unión La Calera boss. In Iquique, it seems the club are trying to deflect the issue, with key figures including former national team coach Nelson Acosta claiming that Rentería provoked the Iquique fans with his celebratory dance after scoring the goal. The Venezuelan striker has said he will evaluate whether or not to continue in Chile after the season finishes in two weeks time. 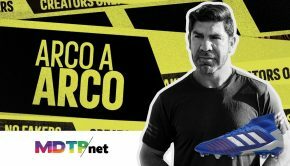 The 30-year-old, who has spent time with Columbus Crew in the USA, Uruguay’s Defensor Sporting and clubs in Venezuela including Caracas and Carabobo, said he had never had problems with opposing crowds like he had in Chile.